I hope you've kept all your New Year's resolutions. I know I haven't! One was to edit video from the November 2013 trip and link it from my first 2014 newsletter - didn't happen. 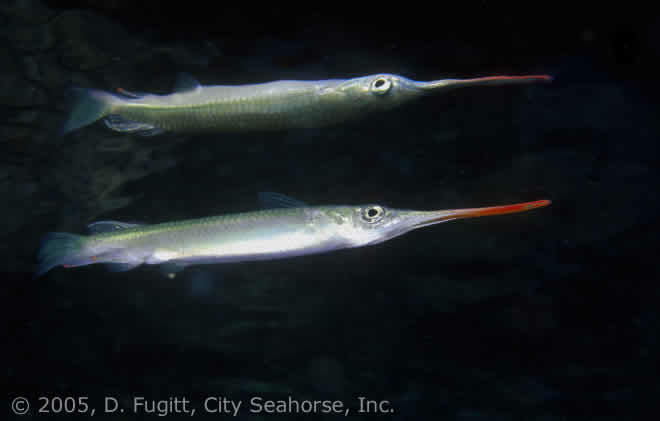 There are still a few spaces available for 2014 City Seahorse trips. Check the schedule and prices below in item 1 - the offer is not available on the website. The New 2015 schedule for my Value Added Trips is posted on the website. Next year I'm offering four Value-Added charter trip with two of them organized as Dedicated Photo Workshops conducted by Don Silcock. If you have not yet "liked" us on Facebook you are missing out on seeing images from previous trips. I'm in the process of updating the website with more 2014-2015 diving - only the places I love best, and the my favorite dive operators will be included. Please have a read through the newsletter. I look forward to hearing from you soon! Offer: Book 2 divers together and take US250 off. (New bookings only - 30% deposit received before Jan 31). For 2014 I've chartered the Nov. 18-30 12 day trip than spans the U.S.A Thanksgiving holiday. If you have difficulty getting enough time for a Raja Ampat trip, this one is for you. 12 days is just enough time to see the best Raja Ampat has to offer. This trip avoids peak travel times. Frequent flier mile tickets ARE still available. If you have extra days to spend in Indonesia, try the new Dive into Ambon - nice prices through 2014. Please ask! Read What is a Value-Added Charter? Need to fill that empty space on your walls with gorgeous photos? 2015 DEDICATED PHOTOGRAPHY WORKSHOP CRUISES - FUN!! The basic objective of these trips is to get you on the best sites, at the very optimum times, equipped with the knowledge of how to get the most out of your camera equipment. The goal? To obtain publishable quality images that could equally grace the pages of a magazine or your living room wall! The courses start with hands-on tuition in Sorong, followed by a short field trip to try core techniques that you will use underwater throughout the 12 diving days of your trip. Then we will build on that foundation and deploy those techniques at hand-picked sites in Raja Ampat. Come with us to Raja Ampat on a Value Added trip. Don't let solo travel keep you from an exotic dive trip. My company, City Seahorse, offers unique adventure diving vacations that are terrific for women traveling solo and for those traveling with mothers, sisters, daughters, partners, and friends. I've traveled alone, to remote parts of the world since 1980. As a solo female traveler, I'm well aware of the potential problems and worries faced by women traveling to "adventurous" destinations. I'll guarantee you will share a cabin with a female cabin mate and set it up so you don't travel in Indonesia alone. For 2014 I've chartered the Nov. 17-29, 12 day trip than spans the Thanksgiving Holiday. If you have difficulty getting enough time for a Raja Ampat trip, this one is for you. 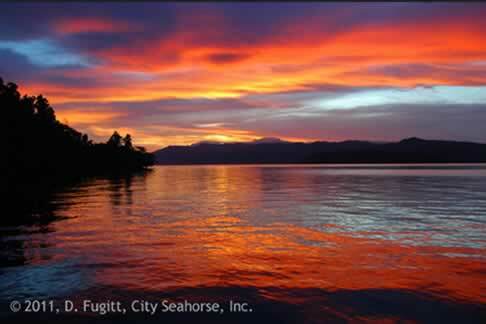 The trip starts in Bitung with Lembeh Strait, followed by Gorontalo, down the east coast of Sulawesi to the Banggai archipelago and Buton island, then on to the Wakatobi area. Dates for full charters should be booked a minimum of 6-12 months in advance. Be sure to contact me if you have a group of 12-16 and would like a private charter organized for your club, shop, or group of dive buddies. All you need to do is round up the divers, I will arrange flights in Indonesia plus any hotels or add-on trips for you. Still some dates for 2014 available now - contact me ASAP. I also offer INDIVIDUAL DIVE TRIPS anytime of the year with only the ships, resorts and dive operators I trust to give you a great holiday. I'd rather lose business than sell anyone a trip during the wrong season or to a place I would not love myself! 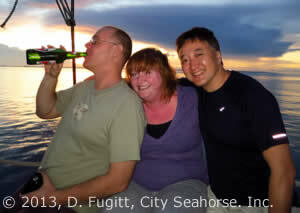 City Seahorse has been a pioneer in Raja Ampat since offering my first small group dive trip to Raja Ampat in 1999. It was in Raja Ampat that I perfected my signature dive trip experience. Each year I organize and accompany a few specialty trips, the City Seahorse Charters, to only the best dive spots in In the world. I've been doing this since 1994. Compare the quality and quantity of diving on a Value Added trip to other liveaboards and resorts in the area. You'll discover you'll get many more "fish hours" per dollar if you come with me! My special team and I are there for you to supervise and prepare. Everything will be organized for you when you arrive. Just sign a little paperwork, do a bit of gear setup and you'll go into the water straight away. With the limit of 12 guests per trip, preparation for each dive goes faster so we can squeeze in more diving. The 12 and 14 day trips mean that you can stay in Raja Ampat longer and see more of the best diving. Every extra day translates into a full day of diving. If you have even more holiday time, extend your trip by either booking back to back liveaboard trips (at a discount on the 2nd trip); getting dropped off at a resort in Raja Ampat; visiting the Orangutans; or stopping off in Ambon, Lembeh or Bali. I can arrange all of it for you! - check facebook for photo galleries of the trips.